Excellent service, lowest prices, repair, warranty, tuning, echo options, talk back and fast world wide shipping on the latest Cobra Cb radios. New April 2013 Cobra 29 LX BT. New March-April 2011 - Cobra 29LX with LCD display and weather alert. Cobra Cb radios have a 2 year manufactures limited warranty. All of our Cobra Cb radios come with a factory microphone, power cord, mounting bracket and mounting hardware. This section is for Cobra Cb radios. See the left menu for 10 meter radios. Don't forget to add our $30 tuning. We also offer a $40 modulation upgrade on select Cobra Cb models which includes the tuning. For the extra $10 this will make the radio output much louder and "beefier". If anyone other than GI Joe's tunes or works on your Cobra Cb radio that does void your warranty with us. Tuning includes aligning the receive, transmit, meters, any other necessary adjustments and a visual inspection of the Cb radio. Once we have tuned your Cobra Cb it will likely never need retuning. If you do encounter a problem you should contact GI Joe's first for help or instructions. 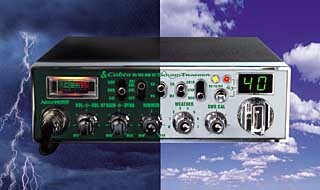 On the Cobra Cb radio "View Detail" pages you will find more information, three echo options, talk back options and tuning selections. Also there are options to make the Cobra Cb radio a base by adding a 120Vac to 12Vdc power supply. The smallest power supply listed is the smallest one that will run the Cb radio. You will only need one of the larger power supplies if you plan to run more equipment with higher current (Apmerage) demands. As there are not a lot of base Cb radios on the market the mobile Cb radio with external power supply option gives you more for your money (as compared to a base Cb radio) and a better selection of Cb radio features to fit your needs. The 29 LX BT features Advanced Bluetooth® Wireless Technology connectivity in a modern aesthetic design with a selectable LCD color display allowing incoming text and voice caller ID on incoming calls ensuring driver safety and convenience. Other advanced Bluetooth features include, Address Book sync, Dual Point Bluetooth for Team drivers, A2DP audio streaming for text-to-speech processing allowing drivers to hear e-mails over the CB radio speaker with a text-to-speech downloaded on the phone For hands-free operation, the radio features external microphone 9included), and transmitter jacks to comply with hand-free legislation. The 4-color display also has customizable night and day settings to enhance readability in both very bright and very dark conditions. Plus, Nightwatch illuminated function panel. Based on the 29 LTD Classic platform with added features: Radio Check Diagnostic to allow users to monitor the vehicles voltage system and the radio’s RF Output Power. Instant access to information channel 19 and emergency channel 9. Clock/Timer and Alarm function with programmable snooze. The 25 LX also includes 40 Channel Scan and 10 channel memory scan, audible key tones, channel frequency readout, 4 watts of RF power output, the maximum allowed by law. Excellent Service, Low Prices warranty, tuning, 4 echo install options, talk-back, modulation upgrade available. 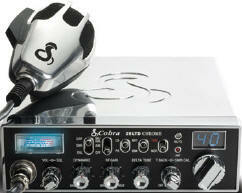 Fast world wide shipping on the new 29LX Cobra Cb radio. The Cobra 29 LX is the same radio as the Cobra 29LXLE (Limited Edition) without the 50th Anniversary Tag in the top left corner. IN STOCK. Supplies are currently limited. **Note on Echo Control mounting: The construction of the front panel does not allow for a echo control knob to be mounted on the front. If you add an echo board the dual control must be installed at the back of the radio. Check back here for the latest updates. 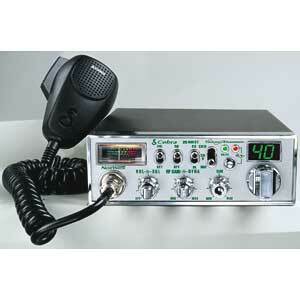 **You may preorder your new Cobra Cb radio now to get in line for one. Orders will begain shipping the the day we receive our fist shipment. 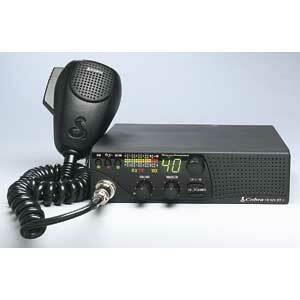 Super low price on Cobra Cb Radio 29LTD Bt. 40 channel Cobra Cb radio. The new blue tooth feature allows you to use your "blue tooth compatible cellular phone" via the Cb mic and speaker. Choose from 3 echo boards. Tuning available or get a GI Modulation Kit to make it loud. *Note: The faceplate is not backlit. *These are the Special Edtion chrome models that were discontinued in 2007. 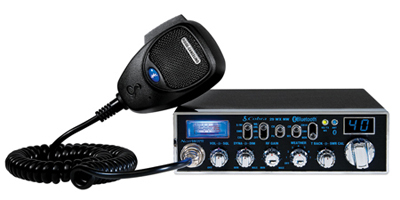 Cobra Cb Radio 29LtdSe Chrome covers with Blue channel LED's and variable talk-back control. Limited edtion. *For Cb radio tuning, echo and talk back options click "View detail". Also see the "Cb radio add-on & tuning" category. Cobra Cb radio 29WXNWST - Cobra Cb radio 29 WX NW ST. Excellent service, lowest prices. 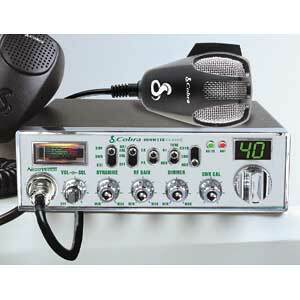 40 channel Cobra Cb radio with weather alert and backlit faceplate. Choose from 3 echo boards. Click View Detail for Tuning and upgrades. Click "View Detail" for more information and options. 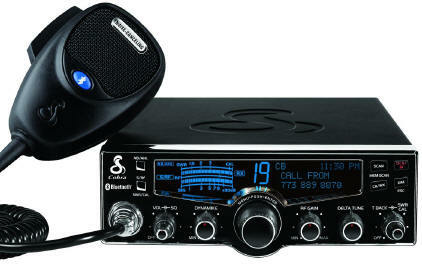 The Cobra Cb radio 25LTD Classic is one of the least expensive radios you can buy that will hold up well to vibration. The Newer model Cobra 25 ltd Cb radios now have a front mounted mic jack. The main difference between a cobra 29 cb radio and a cobra 25 Cb radio is that the Cobra 29 Cb has a SWR meter used to check the antenna and the Cobra 29 is about a half inch wider than the cobra 25 ltd cb. The Cobra 25NW Night Watch Cb radio is one of the least expensive lighted Cb radios that will hold up well to vibration like use in a 18 wheeler big truck or other commercial, trucking and heavy equipment vehicles. The Cobra 25 NW Cb radio is quality built and the Night View lighting is great if you drive at night.